My first 12 years in business were a struggle. There was definitely no ‘business freedom’. I tried the ‘work hard to get ahead’ strategy, working up to 80 hours a week every week. I tried being a great technician for my tree service business. That didn’t work either, but it did produce more income per hour. I made the mistake of being that technical skills is what would make more money and take away the stress with money and time, but it didn’t. In 1995 it had all changed and I had reached and was experiencing ‘business freedom’. It all started with a conversation with the accountant I and my business partner had at the time. I was saying we’re working 80 hours a week but not really increasing the cash in the bank. His suggestion was to learn to “work ON” the business and talked about Michael Gerber’s brilliant book – The E-Myth Revisited. It talked about why businesses fail and what to do to prevent it. It talked about systems and how to turn hard work and self-employment into true business ownership where your business can work without you. I read the book and then he happened to be coming to Sydney (where I lived at the time) and was running a two-day workshop. In that workshop I also learned everything I didn’t know about how to manage a successful business and exactly what I needed to learn as topics. For a start, business is a subject all on its own that can be studied and learned and you could call that management. The challenge as a business owner is, we don’t know what managing our business is all about. 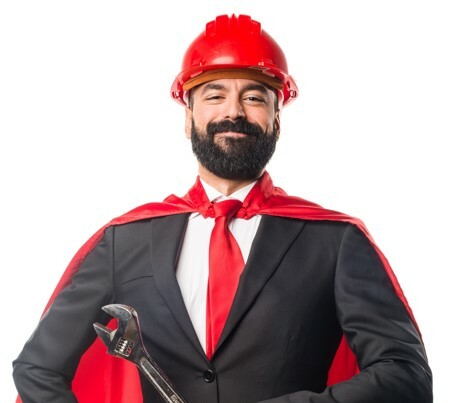 We (falsely) believe, what Michael Gerber calls “The Fatal Assumption” that being a great technician is a guarantee of success with owning a business that does the technical work. It has close to nothing to do with it – that what I have learned over and over while working with thousands of business owners. Being a super technician is great, if you want to be an employee, but the whole aim of owning a business is LEVERAGE. To benefit from other employees working for you isn’t it? Just one super technician doesn’t make a whole business successful. Lots of cash – for starters! 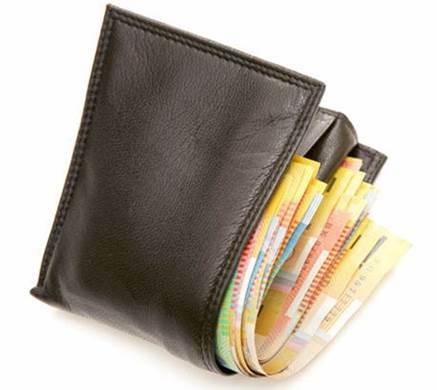 Accountants are known to say an amount of 3 months of the total expenses of the business is the minimum to aim for. Lots of cash in the bank can solve most problems a business has. It pays the bills on time, and allows you to have a decent salary. It pays for more marketing and equipment plus admin employees who are not ‘income producers’. One day it can also pay for a manager to replace you so you can have business freedom. Ever hear of a business failing that had loads of cash in the bank? The secret to a super successful business, that directly influences cash in the bank, is the Net Profit Margin. Good management skills is all about increasing this figure, taking it to 15% to 25% or higher where only a few percent of businesses reach. After the inspiration from Michael Gerber to learn there is a topic called ‘business management’ that I had no idea about, I decided to start learning all about it. 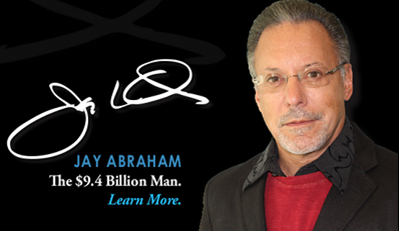 That decision led to my next “education” on business with the great Jay Abraham, the world’s highest paid marketer in the 80’s and 90’s. He’s sold over 9.4 BILLION in products and services with his unique, uncommon sales and marketing strategies. He’s a true genius! What I loved about Jay was his profit ROI focus of marketing. When you market successfully, the net profit from your marketing pays for the cost of it and then you have an Unlimited Marketing Budget! If you spent say $1,000 on advertising, the net profit from it, after all costs of running your business, should easily pay the $1,000 and still have money left over – to scale up the marketing. He explained how the figures work. By applying what Jay Abraham taught, my sales increased, but I wanted to know more and so then I invested in Chris Newton’s training – the CEO of Results Corporation in Australia. His methods were more refined for Australian’s as we have a very different philosophy here in response to certain types of advertising. His content was amazing and very powerful. Around that time I had left my partner as I wanted to learn and work smarter whereas my partner didn’t see that principle. Thanks to Chris Newton’s information, in my newly started business I raised my prices and was even selling more. My prices went up 30% and I maintained a 48% conversion rate, which was ideal as it led to larger amounts of cash in the bank. Higher prices and a lower conversion rate are better than a higher conversion rate. This can be hard to understand as our mind says “more income is better” – but to an entrepreneur, more cash in the bank is better. It’s better to raise prices by 20% in a service business and have 20% less sales because the Net Profit is around 100% greater! 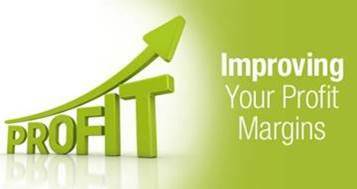 Want to double your net profit? Strongly consider a price rise. Better yet, measure your conversion rates and aim to reduce them by 20%, so if they are 60%, drop them to 40%. The math is hard to understand – initially at least, but it gets easier as you study it. Understanding numbers is a very important and rewarding skill as a business owner. I’ll share an example that came up with a client this last week, with their actual figures. They had just started using the two measuring spreadsheets supplied in the Academy of Business Mastery. One tracks sales and marketing and the other the service work and jobs. Every service and manufacturing business carries out about 6 to 16 different types of services. 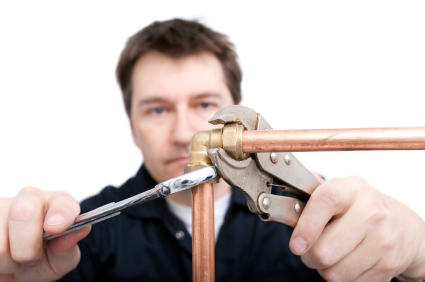 A plumber fixes leaky taps, blocked sewers, broken water heaters etc. By separating a business into its service types with measuring, you learn loads more about your business, plus you will see profit opportunities. In this case, the business had a 68% gross profit margin on jobs of the type that was producing over half of their income. The 68% gross margin figure produced a 17% net profit margin figure (by working out that the total Expenses were 41% of the revenue). Then, looking at their sales and marketing figures, for that same service type, it was seen that their sales conversion rate was 86%. Those figures revealed a big profit increasing opportunity! An 86% conversion rate is quite high, but its better to have a lower conversion rate with higher prices. The higher figure means higher income, but you’re not in business to have a high income, you’re in business to have high net profit. The goal was set to lower conversion rates down to 65% to 67%. To lower it the prices would need to be increased – significantly! 20% higher would probably be required to lower the conversion rate from 86% to 65%. Doing the math, the 20% price rise on their net profit margin of 17% would take it to 31% – a HUGE increase. In their figures for a few weeks they had an income of $20,352 for that specific service type, with a net profit on that of $3,460. After the 20% price rise the income would drop to $18,520, but the net profit would increase to $5,704 – a $2,244 increase. Also, the business would need less hours as the number of jobs had reduced as well. That means they’re making more money while working less hours. This is one of the strategies that were considered out of 12. By implementing all 12 of the strategies, and putting them into the Business Growth Calculator tool (available free for you to use), the results were a $220,000 increase in net profit, up from $63,800. Pretty good for a business with only a $580,000 turnover per year. Over the years of learning to grow my own various companies, I’ve invested over $120,000 to learn from the best marketers and entrepreneurs in the world. In 1995 I achieved ‘business freedom’ as I was stress-free, worry free, cashed up and working 30 hours a week. I had also completely stopped thinking about my business, at night, in the morning when I first woke up, on weekends and on holidays. That’s another definition of ‘business freedom’. 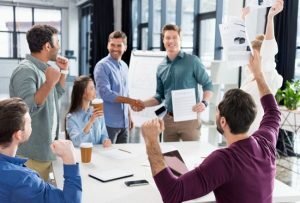 After entering the business coaching industry and training hundreds of businesses on just about any topic related to business growth, there were 7 subjects that all business owners not only benefited from learning, they all were necessary to set a business up for the owner to experience true business freedom. Those 7 topics were best introduced in a specific order too because if they weren’t resistance from employees, rapid out of control growth or lack of cash problems were experienced. 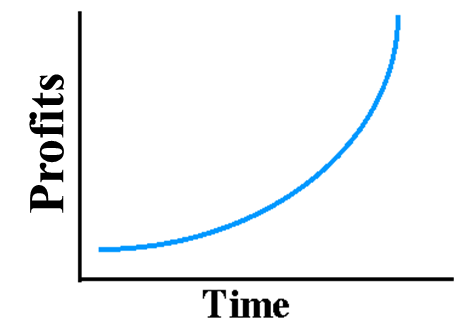 By following 7 steps, in a specific order J-Curve growth was seen for business after business where the business grew faster, but with less and less stress on the owner. Each step builds on the step before. Each step is important and necessary for every business. The vision clarifies your goals, which you need to share with the people who will give you business freedom one day – your employees or ‘team’. With your team meeting every week to discuss challenges, you then introduce figures you’ve measured for the week. This leads to in-depth discussions and problem solving. Think of any team sport, doesn’t the whole team know the scores of every game, plus a lot of stats about the game? It’s exactly the same in business. Your team needs to know their own scores and the score of the business. With measuring, you reveal profit increasing opportunities, which you then use as facts to plan to double your business profits in 3 to 12 months. The plan contains proven, effective strategies you implement about one to two of each month. Every business only needs two to 6 strategies to double the net profit, and strategies for one type of business can often be used for hundreds of other ones. With the plan and strategies being implemented, before the business grows too fast, systems are needed, like job descriptions and KPIs for roles and an Organisation Chart. With this “structure” in place of weekly team meetings discussing numbers and the need for systems, revealed by the figures, the business is ready for explosive, controlled growth, to scale and grow by potentially millions per year. That rapid growth is achieved with super effective “secret” sales and marketing strategies, used by clients to sometimes triple their sales income in one month, or grow by 8 Million in one year to 34 Million in 5 years. Management is the ‘final phase’ to leverage your way out of the day to day work, to be replaced by team members and potentially a general manager, so that you can experience true business freedom where you don’t have to work any more – for the rest of your life if you choose. If you’d like to conquer any business challenge, these 7 steps contain the solutions to do that for you. All it requires is a willingness to learn “out of the box” strategies, time-saving systems and dedication for about 8 months part time in your life. 8 months isn’t long compared to how many years you want to own a business from now until you retire is it? The years go by fast. Where would you like to be with your business and life in 12 months from today? The choice is yours to go for business freedom or hard work. What will you choose? These business owners chose and now enjoy business freedom. Want to talk about your business freedom and what the steps are? You’re welcome to book in for a Breakthrough Meeting to discuss it – obligation free. You’ve got nothing to lose by exploring opportunities.